Hello dearies! I was nominated by the spunky Danielle(:, I adore her energy & everything about her! I also want to thank the lovely creator of this award, which is Okoto! I have chronic migraines! So, that’s a hassle I am constantly dealing with. I have tried a lot of the natural remedies, so far only Botox works. However, that is way too expensive! I prefer books over any social event! Why did you choose your current blog name? It took me a long time to decide, but I basically was like I talk about tea and tomes, slap in my name. There you are! 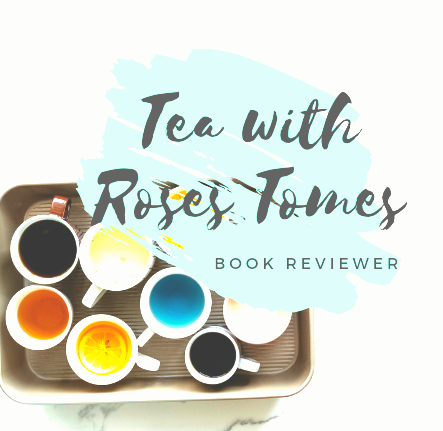 Tea With Rose’s Tomes. Plus I love the ring to it. What is your favorite thing to do, besides reading:)? It’s between sketching up characters & yoga! If you could change anything about this World what would it be? *What is one thing about you that people don’t believe? *What book would you love to live in? Man that is a difficult question but I would have to say that I would love to live in my current read Rock Chick by Kristen Ashley. Two words: Liam Nightingale! I have always been a fan of the rock lifestyle and Lee is the kind of Alpha male that is the man of my dreams!! Like stated above I am kind of a hippie so I guess the 70s would be pretty badass. I mean think about it Woodstock, BABY! *What book genre would you consider reading a book from without knowing the synopsis or title? Humorous Mystery and if it has a bit of Romance in there, I’m all there baby. *If you could buy one book for everyone to read, what would it be? Dammmnnn…. that’s a hard question but I think I am going to have to go with Pretty Girls by Karen Slaughter. It’s one of my favorites it’s a great enthralling thriller with so many twists and turns! Absolutely love it! Books. Books, and More Books! Previous postThe Axeboy’s Blues by Andy Reynolds! Next postThrone Of Glass Tag! Bonus points for the buffy gif! Thank you for the nomination 💕 I totally wish cats would live longer too! Good answer! So i didnt have to answer them all woot!! And thanks for the shout out beautiful lady!!! Trust me you wasn’t! !!! (: We definitely are the badass bilbiophiles! Yaaassss girlll love your answers!!! Pingback: Oooh, A Mystery Blogger Award!